Our Multi extending height adjustable coffee table is a piece of furniture that exudes elegance. But like all of our innovative products, it’s also so much more as Multi also extends and transforms into a fabulous dining table that comfortably seats 8/10 people. When it’s closed Multi is contemporary coffee table that oozes style and sophistication. It measures 120cm by 75cm and is 25cm high – so is perfect in a sitting room alongside a sofa (or indeed one of Furl’s comfortable sofa beds). As a coffee table it’s incredibly versatile because it’s fully height adjustable. You could be sitting on the floor Japanese style taking sushi or enjoying a game of monopoly from the comfort of the sofa; its simple lever height adjustment effortlesly lets you raise or lower the table to suite you and your activity. Better still, because Multi is on castors, it moves easily around the room. In a matter of moments though Multi can open out to become a dining table. 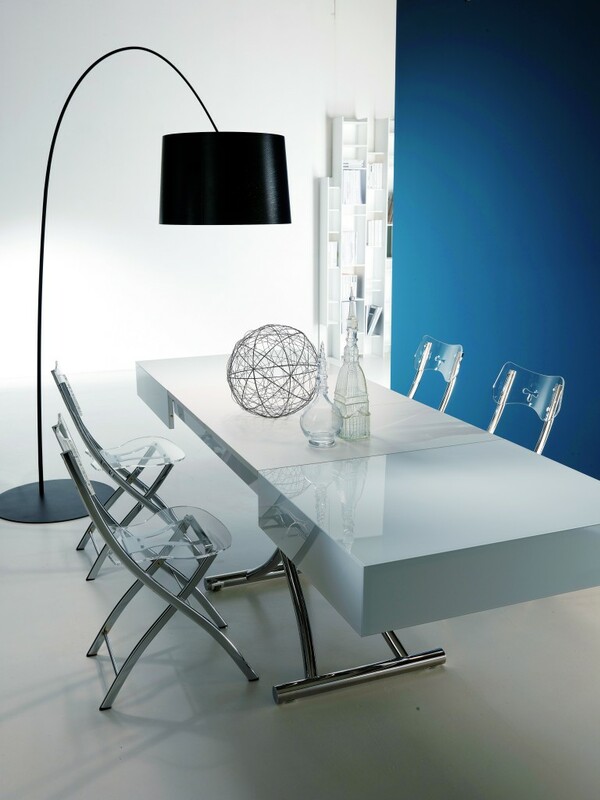 Straight forward brilliant design means that it quickly and easily transforms to 220cm long. 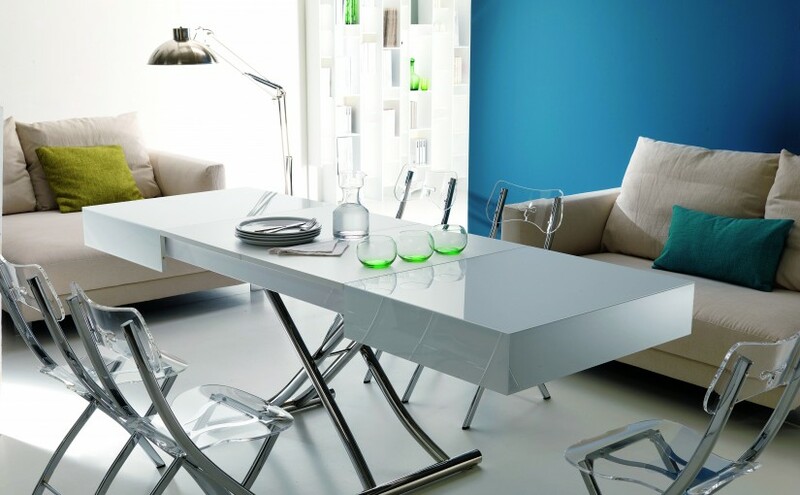 For dining to be comfortable and relaxing the dining table has to be the correct height. And so Multi has been designed to effortlessly lift to the perfect 84cm tall. Here at Furl we believe in Living Furniture – that’s furniture that does more than one thing and changes with you as you live your life to the full. But it must also look good, which is why Multi is available in a comprehensive range of finishes including wood, leather, stone and glass, we even offer a special mark less glass that doesn’t show finger prints! Prices start at £1695. Like Revo and Console, the other transforming and extending tables in our range, Multi is on show at our London showroom. In fact all of Furl’s range (which includes sofa beds, storage beds, ottoman storage boxes (and even a dog kennel) are there for you to see. So come and see us at Furl. To make an appointment call us on 0208 451 6999. We look forward to seeing you.